Does AA work or are there better programs or treatments available? The debate over 12 step programs has been around for decades. Since the passage of the Affordable Care Act there has been increased debate among medical professionals over what works best for the substance abuser because the ACA requires alcohol and substance abuse treatment be covered by insurance. The American Medical Association estimates that out of nearly 1 million doctors in the United States, only 582 identify themselves as addiction specialists. There are many more that call themselves addiction specialists as a subspecialty. Most treatment providers are credentialed as an addiction counselor. Some states only require little more than a high school diploma to be a counselor. Many counselors are still in recovery themselves. In 1935 there was limited knowledge about brain function. AA instructs members to surrender and accept that they are powerless over alcohol and make amends to those they have wronged and pray. Because of the anonymous nature of the program it is impossible to see data to determine how well the program actually works. Lance Dodes, a retired Harvard Medical School psychiatry professor, in his book entitled The Sober Truth: Debunking the Bad Science Behind 12-Step Programs and the Rehab Industry looked at AA retention rates along with studies on sobriety and rates of involvement in the program. Based on the data he evaluated, he put AA’s success rate somewhere between 5 and 8 percent. We have grown so accustomed to people raving about AA saving their lives that we take it on faith that the program is successful. We never hear about the people who the 12 step program did not work for. 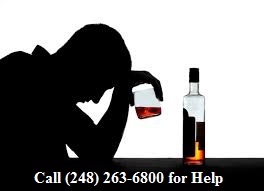 According to The Handbook of Alcoholism Treatment Approaches, AA ranks 38th out of 48 methods. Do you have to hit rock bottom? No. Researchers say that the AA truism that rock bottom must be hit before recovery can start is not true. It has been described as, “offering antidepressants only to those who have attempted suicide, or prescribing insulin only after a patient goes into diabetic coma”. A former director of the National Institute on Alcohol Abuse and Alcoholism says rock bottom is “absurd”. Although Alcoholics Anonymous and other treatment options work for some, research is being done to make treatment more effective and hitting rock bottom is not necessary. The newest edition of the American Psychiatric Association’s diagnostic manual (DSM-5) uses the term Alcohol-Use Disorder instead of alcohol abuse or alcoholism. John David Sinclair is an American neuroscientist living in Finland. Sinclair ran an experiment with rats giving them alcohol for extended periods of time then removing the alcohol completely for several weeks. It was expected that the rats would lose their desire for alcohol. The opposite was true. They drank far more than they did previously. This was called the “alcohol-deprivation effect” which suggests that complete abstinence only increases the cravings. Sinclair came to believe that people develop drinking problems through a chemical process. Each time they drink, the endorphins released in the brain strengthen certain synapses. The stronger the synapses grow the more likely the person will think about alcohol and eventually crave it until almost anything can trigger a thirst for alcohol and drinking becomes compulsive. The thought was that if you could stop the endorphins before they reach the target, then the process can be weakened and cravings will subside. He began giving the drug naltrexone (opioid antagonist) to the rats to block the endorphins and found that they drank less and less. Naltrexone has been deemed safe for humans and heavily studied with a track record of success in Europe as a way to help someone with alcohol-use disorder. The problem that some people have (and judges too) is justifying the use of an opiate to deal with a substance abuse problem. The connection between an opiate and the treatment of alcohol-use disorder is puzzling. However, the research does appear to be promising. The attorneys at Lewis & Dickstein, P.L.L.C. pride themselves in keeping current on the latest medical and psychological research relative to drug addiction and alcohol abuse. Because we stay abreast of the most recent science and law, we are better able to help our clients. Lewis & Dickstein, P.L.L.C. has been in the business of helping people charged with criminal offenses for decades. We are the attorneys that you can count on when you are facing a criminal charge relating to drugs and/or alcohol. Our attorneys have the experience, knowledge and tenacity to give our clients the first rate defense that they deserve. We will always go the extra mile to make sure that our clients rights are protected. Our defense team has connections within the therapeutic community to get any help that might be needed for our clients. We are aggressive, compassionate and not afraid to win. Please contact us at (248) 263-6800 or complete a Request for Assistance Form and one of our attorneys will contact you. We look forward to speaking to you. The contents of this Blog are intended for educational purposes only or to start a discussion as to addiction and its possible causes and treatments. Lewis & Dicksten, P.L.L.C. is in no way intending to advocate or endorse any cause or treatment process available or considered for addiction problems.